My wife would love the nail polish. She’s always painting her toes. I would like to try the massaging olay bar….. THANK YOU for posting this contest! It would be a very nice win. THANK YOU for having this contest. I hesitate to buy any new products because if I don’t like them I will have wasted my money. 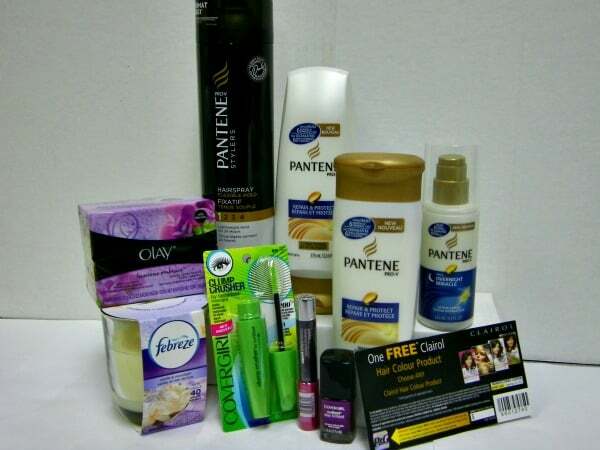 I would like to try the Pantene Overnight Miracle Repair Serum. I do believe in miracles. I’d like to try the Pantene shampoo and conditions. I would love to try the Pantene overnight miracle!!! This is an amazing giveaway with a lot of fantastic prizes!!! I would most like to try the COVERGIRL LipPerfection Jumbo Gloss Balm. 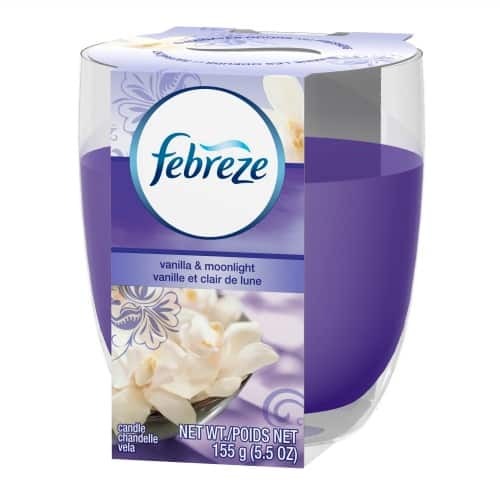 I’d like to try Febreze Vanilla & Moonlight Candle. I would like to try the nail gloss in grapevine. Oooohhh I’d love to try the vanilla candle – I love that scent, reminds me of cookies. i’d love to win the nail polish. I love doing my nails. Vanilla is one of my favorite scents, and I’d love to try the Febreeze Vanilla & Moonlight candle! I would love to own one of these. The covergirl clump crusher mascara !! I’d most like to try the Olay Massaging Bar Soap. I am looking forward to trying the Olay bar. I would love to try the Pantene overnight miracle!!! Thank you for this giveaway! The panteen pro-v shampoo & conditioner. I’d most like to try the Cover Girl Mascara. I want to try the Febreeze candle. Thanks for the chance.